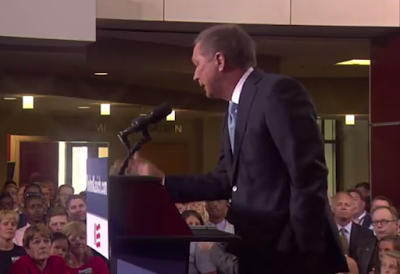 Today Ohio Governor John Kasich announced his candidacy for President. He is the 16th major Republican to make a bid for his party's nomination. What follows is a partial nonverbal analysis of his speech. 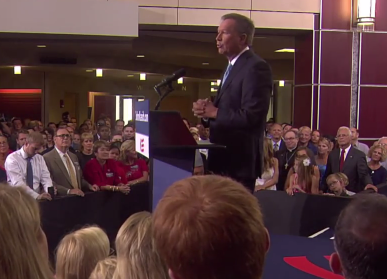 At multiple times Governor Kasich put a hand in his pocket. This is an awful body language for any leader to use - particularly while on camera and speaking - and especially during his announcement to run for the highest office in the land. It does not build rapport. On the contrary - it signals reluctance, tentativeness and nondisclosure. Some people will occasionally use this MAP (manipulator, adaptor, pacifier) in an effort to look relaxed or approachable - yet it does not - rather it projects non-engagement. Simply put - hands in pockets will lose you votes and rapport. If you're running for office or leading people, keep your hands OUT of your pockets. Mitt Romney did this far too much in 2012 - thus sending signals he was not emotionally comfortable. This gesture (in body language terminology - one type of "illustrator") is a "basketball steeple". 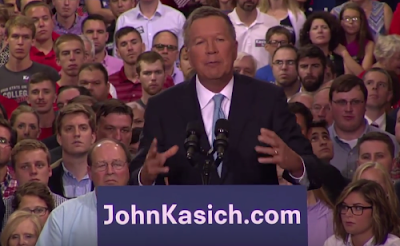 And although the tempo of movement associated with Kasich's use of this nonverbal is a bit too quick (see video at 39:00) - the basketball steeple is a great example of an "Alpha-Beta Hybrid" - not too aggressive/dominant - yet not too demure/sedate. Alpha-beta hybrid body language (which can be up and down-regulated in the moment depending on the need and/or feedback) are fantastic body language displays for leaders to use - for they build rapport and assertiveness without arrogance - as well as increase likability without sending signals of weakness. The basketball steeple is but one of many varieties of an alpha-beta hybrid. This image captured at 40:34 shows Gov. 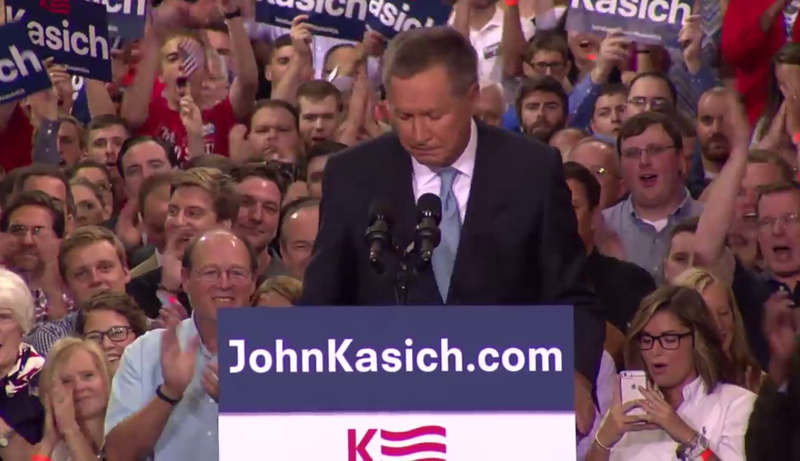 Kasich with his fingers interlocked (intertwined). This MAP indicates low emotional comfort and anxiety - and should in general not be used. 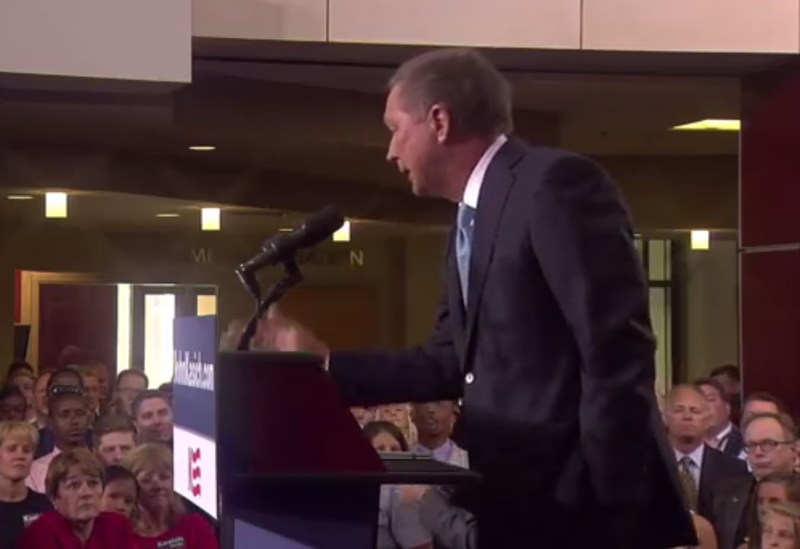 However, Kasich used this fairly display relatively briefly (several 1- 3 second intervals) and while he was speaking about the almost unfathomable condition of family fighting against family in the U.S. Civil War. If one truly has empathy for those in War - this gesture is sincere - for it was congruent with his vocal qualities as well as his words (but still should never be used for very long). 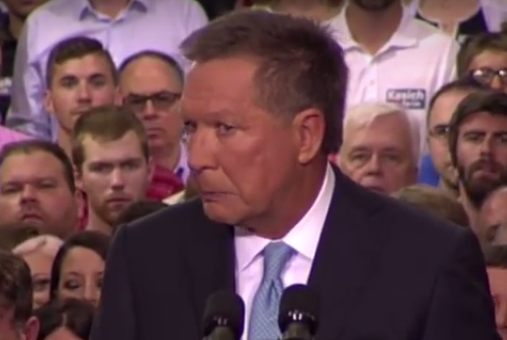 This chin, mouth and mid-face cluster is indicative of brief (near-microexpression) fear-sadness as Kasich describes a man who watched helplessly as his wife and two children were swept away in a flash flood several days ago. This was another sincere moment of empathy. Just after Governor Kasich announces his attention to run for President he looks down with his head/neck and while closing his eyes. A few moments prior, he stepped back several inches and braced himself by grabbing the sides of the podium (lectern). Such humbled body language (and similar) is common and displayed by most candidates in the context of announcing their candidacy - particularly for high office. 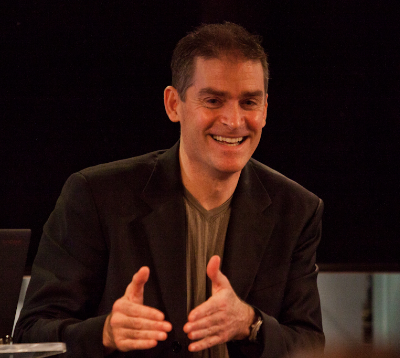 Of course eye contact with the audience and upright posture are essential for good rapport and the projection of strength, confidence and assertiveness - yet most of us want (and need) our leaders (during certain moments at least) to be humble. Like most body language however, a balance is needed. 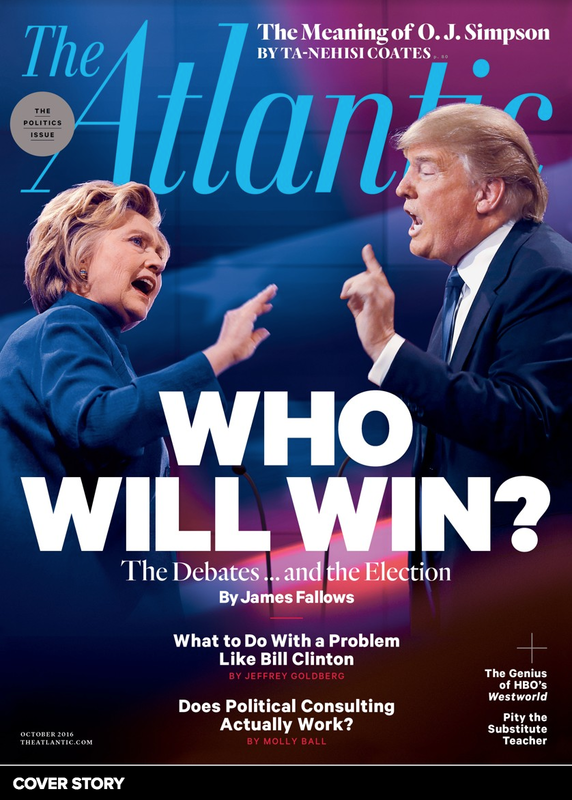 Too much humility (weakness) or too much confidence (thus arrogance) does not win elections. Although he could certainly make some significant improvements, more than the majority of candidates - John Kasich projected a good balance of alpha and beta qualities during his formal announcement speech. Both his sincerity and empathy were relatively high during this event - and it's these qualities more than most which translate to likability. Nonverbal Communication Analysis No 1915: Mitt Romney's Response to Supreme Court's Decision on "Obamacare"
Nonverbal Communication Analysis No. 2074: Mitt Romney and Senator Kelly Ayotte What Body Language Tells?